It added that these men would have to live up to “extremely high” standards, making it “[extremely] difficult to find one in this day and age”. 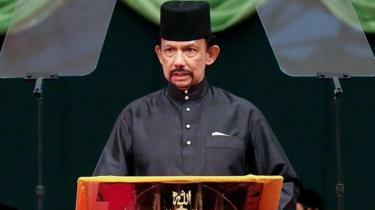 The statement from Brunei’s foreign ministry comes in response to the UN’s criticism of the country’s decision to implement the second phase of Sharia law on 3 April. The UN’s High Commissioner for Human Rights sent a letter on 1 April to the Brunei mission in Geneva warning that the planned implementation of the new laws contravened international human rights standards set out in the 1948 Universal Declaration of Human Rights – which was ratified by Brunei in 2006. The decision to implement the strict Islamic laws sparked global condemnation, with celebrities including George Clooney, Elton John and others calling for a boycott of the Dorchester Collection group of hotels owned by Brunei’s investment agency.